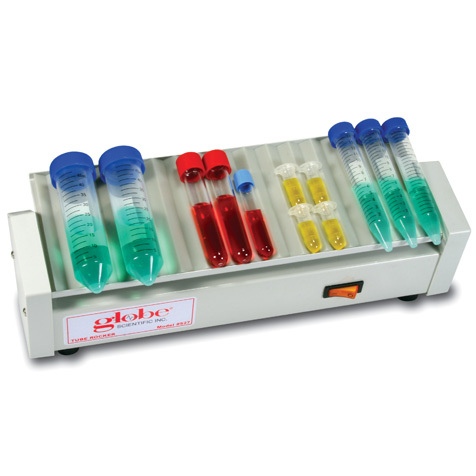 Globe Scientific's mini tube rocker is designed to provide thorough agitation of tube sizes ranging from 1.5mL to 50mL. A grooved rubber mat securely holds the tubes in place. Small in size (only 5 x 13 inches), the instrument is small enough to fit on any lab bench and can also be placed inside a cold room, refrigerator or incubator. Dimensions (WxDxH) 13.3" x 5.3" x 4"